Survival, Ambition. Empowering. Perseverance. Ingenuity. Leadership. Our iHuman youth leaders like Melissa, Jamie and Cory give talks and workshops on drug awareness, healthy life choices, leadership and how to use the arts to make positive life changes. They have given keynote presentation and worked with numerous other youth and community leaders across Canada. These talks and workshops not only help warn and divert at-risk youth from following a destructive path, they also are a part of the continued development of our youth in their journey to re-integration and responsibility. 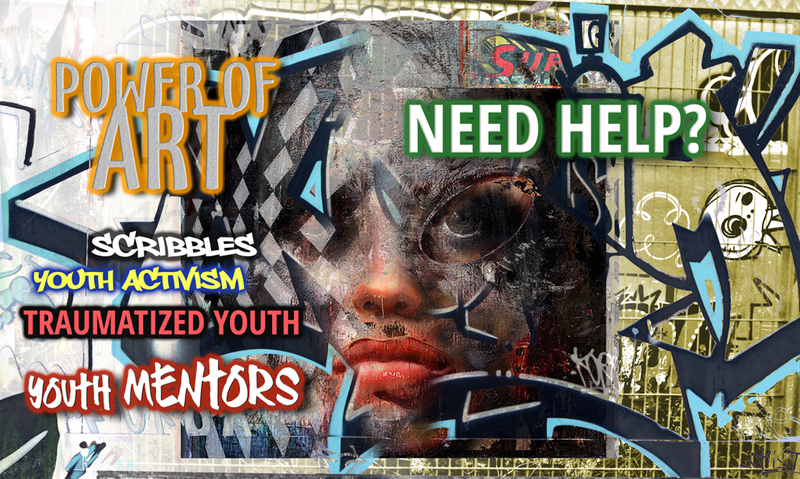 iHuman’s growing capacity of empowered youth leaders will help break the cycle made from the imperfections in our social fabric. They are already advocating preventative and positive change in challenged communities to their peer groups, as well as to young families and 6-12 year old children who may be potential at-risk youth. Cory asserts that he was never really involved in media arts as a child. 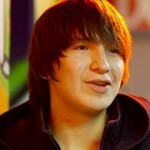 He was touched by the work of his uncle, who was heavily involved in native dramatic arts. Cory would hear of his uncle traveling across Canada to participate in exhibits, performances and festivals, and this was an intriguing and motivating force for Cory throughout his youth. 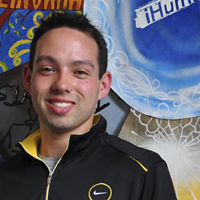 Cory came to iHuman looking to pursue media, and he was enrolled in the Uncensored program, which enabled youth to educate service providers on ways to better manage situations that they may encounter with high-risk youth. Cory flourished in this program, as he was able to build his storytelling skills in multimedia as he built his skills in creating that media collaboratively with other iHuman alumni. Cory has even taken his mission to share story beyond our borders. He was a participant in the United Nations Association of Canada’s Multimedia and Multiculturalism Program. Cory was also awarded a place in Canada World Youth’s Youth Leaders in Action, which took him throughout various volunteer engagements in Tanzania, east Africa. United Nations Association of Canada’s Multimedia and Multiculturalism Program. Canada World Youth’s Youth Leaders in Action. At 16, Melissa felt lost and challenged by tough childhood and a life plagued with drugs, alcohol and violence. 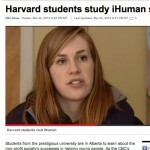 She had heard of iHuman through her sister, who was an alumni. She visited iHuman and was moved by the variety of arts programs that were at her disposal. She immediately gravitated to music. It was through the development of music and writing that Melissa began reaching deeper into herself and building inner strength as she worked with people that she grew to trust, learning skills, making hip hop music and sharing perspectives. With the support of iHuman, she was able to conquer her addictions and get away from dangerous situations that plague youth on the street. The supportive, creative community arms her with the will and the skill to produce and record music for audiences to enjoy and connect with. Melissa continues to be a key member of iHuman. After completing high school, she designed the peer-focused program, Healthy Heart, Healthy Start. 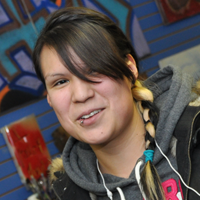 The EPCOR funded program focuses on building healthy relationships with one’s self and others. It’s entirely youth initiated and delivered, and it remains a shining (but not only) example of the mentorship capacity and resource capability that an iHuman youth possesses. Recipient of the 2012 Heather Jacobs Award. The Edmonton and Area Child and Family Services Authority Regional Board established the Heather Jacobs Awards, to recognize outstanding Aboriginal youth who demonstrate similar personal characteristics and beliefs to Heather Jacobs. Melissa is also featured in a video for the TELUS Empower You Campaign, which airs on cable networks nationally. Jamie Courtorielle is a 26-year-old who has lived a crazy life, spending nearly 10 years addicted and living on the streets. During that time, he was caught for many crimes, starting with small theft and drug-related crimes, escalating to a home invasion and a high-speed chase, which landed him in jail. Just over three years ago, he was living that street life trapped in a vicious cycle, which had him heading down a path of destruction. Sick and tired of spinning his wheels, he decided it was time to make life-altering choices. Finished the Quest for Success program. Graduated from Concordia University’s UCEP program with honours. Has been Concordia’s graduate and welcoming speaker. As a former iHuman Youth Society client, he is now a senior ambassador, focusing on helping others and speaking about the iHuman program. He is committed to sharing his learning on his challenging life experiences and the journey to recovery. He has been an invited guest speaker at Grant MacEwan, Pheonix Academy, Thomas Moore Academy, Bosco Homes, Concordia College and most recently at Edmonton City Hall on behalf of the iHumanYouth Society. Jamie has successfully completed a solo bike ride across Canada: Riding 4 Mentors & Cycling 4 Change. During his trek he shared his motivational talks with 1,000’s of people. He passionately believes it is important to show others who are caught up in addiction and street-life that despite the circumstances, there is a way to a life where goals and dreams can come true by living a healthy lifestyle within recovery. His energy and positive spirit is contagious, inspirational and he brings a wonderful message of hope for all. Jamie was awarded the 2012 Lieutenant Governor’s Circle on Mental Health and Addiction True Awards (inaugural year) True Grit Award which is presented to an individual who has made use of mental health and/or addiction services and has inspired others in their own recoveries or dedicated her/himself to furthering mental health and addiction programs. 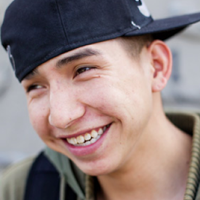 2013 Alberta Aboriginal Youth Achievement Awards – Walking the Red Road (a healthy lifestyle, overcoming addiction). Tiffany was entering high school at the age of 16 when she first joined iHuman. As the organization grew and changed over the years, Tiffany knew there was always a place for her, as iHuman always kept its doors open for youth needing to share ideas and grow. iHuman has helped Tiffany experience and connect with other people’s life perspectives in an inclusive and invigorating way, in ways that she says were not possible in the other aspects of her life. Everyone who becomes a part of iHuman loves that feeling of being a part of a unique and soulful community. 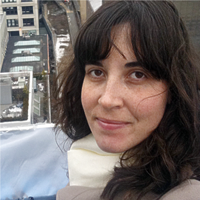 iHuman has given Tiffany the tools to flourish in an arts capacity in many ways. Wallis invited many art instructors to participate in sessions with the youth, opening them to mature arts perspectives. When the time came for Tiffany to explore post-secondary studies at national art institutions, Tiffany had the emotional support and financial support from bursaries that iHuman helped her to secure. iHuman’s commitment to success empowered Tiffany to pursue her own dreams on her own terms, bringing her a high sense of value and self worth. Tiffany understands that she is now a conduit of change, and her efforts now influence others, bringing hope and strength to others as they work toward bettering their lives in much the same ways. Awards / Recognition: Venice Biennale 2013. Venice Biennale 2013 is a major contemporary art exhibition that takes place once every two years in Venice, Italy. It recognizes creative talent and is considered the most prestigious award in the world for the arts.